Mac Repair London is a foremost MacBook Pro repair store specialising in quick turnaround MacBook Pro keyboard repair and replacement services to individual customers and business users in London. Are you experiencing MacBook Pro notebook keyboard issues due to general wear and tear or does your keyboard have missing keys or sticky keys? 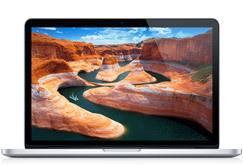 You have come to the right place if you need MacBook Pro laptop keyboard repair and replacement services for MacBook first generation, second generation (Unibody), third generation (Retina) or fourth generation (Touch Bar) MacBook Pro notebook computer models. No matter what the issue is with your Apple MacBook Pro keyboard such as keyboard won’t type, MacBook Pro keyboard has stopped working, you spilled coffee or beverages on your notebook keyboard, some keys from your Mac notebook are broken, damaged or missing, some keys have become detached or fell off, touchpad doesn’t work or your laptop keys got stuck; Mac Repair London offers affordable solutions to repair or replace your laptop keyboard for 13.3 inch, 15.4 inch and 17 inch MacBook Pro notebook models. Instead of replacing your entire notebook computer we can replace your faulty keyboard and get your MacBook Pro up and running again as quickly as possible. At Mac Repair London, all MacBook Pro keyboard repair and replacement services are carried out by our qualified and experienced Apple Mac repair technicians. We can fix or replace your MacBook Pro notebook keyboard promptly often on the same day. For more information on our Apple MacBook Pro keyboard replacement and repair services for MacBook first generation, second generation (Unibody), third generation (Retina) or fourth generation (Touch Bar) MacBook Pro notebook models or for a free no obligation quote, call Mac Repair London today on 020 7394 2528 or e-mail us at info@mac-repair.london.